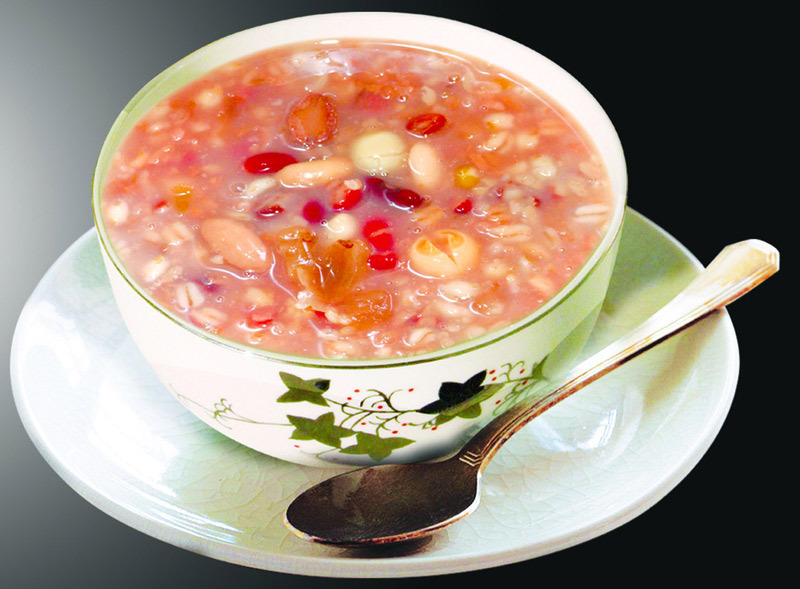 Chinese people celebrate Laba Festival 腊八节, which falls on January 8 this year, by eating rice porridge. La 腊 in Chinese means the 12th lunar month and ba 八 means eight. The Laba Festival, which falls on the eighth day of the twelfth lunar month, marks the official start of Spring Festival celebration. Eating porridge on the day of Laba is a traditional custom in China, which delivers good prospects for the coming New Year. Chinese people began celebrating the Laba Festival before 221 B.C. - when Qinshihuang, the first Chinese emperor, united China - to worship the gods and ancestors as well as to pray for a good harvest and and good fortune. But the tradition of eating Laba porridge goes back over a thousand years to the Song Dynasty (960-1279) with the spread of Buddhist practice. Laba rice porridge contains glutinous rice, red beans, millet, Chinese sorghum, peas, dried lotus seeds, red beans and some other ingredients, such as dried dates, chestnut meat, walnut meat, almond, peanut, etc. There are many different kinds of Laba congee that contain different ingredients all around China. But the most popular has 8 ingredients, as "ba" in Laba means 8.